When it comes time to choosing your next apartment, it can be both an exciting and overwhelming task—all the fun of picking a new location with new amenities and services, along with the stress of making sure it’s the perfect fit for you. Not sure where to begin? We’ve got you covered with these three helpful tips! It happens all the time—you’ve barely begun your apartment hunt, and you come across a place that you go visit on a whim. Then, you fall in love with it, and it’s available right now—but it really doesn’t fit your lifestyle! To save yourself the frustration of having to give up the “perfect” place to find the smart choice for you, establish your priorities up front, then do research online or via phone to get as many answers as possible, as quickly as possible. 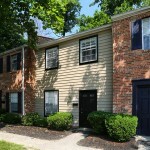 Monthly cost: This can include not only rent, but utilities, parking fees, and ancillary costs unique to each apartment community. Take a hard look at your budget and make sure you can pay for all apartment costs after you take care of your other life expenses! Location & Transportation options: Are you looking for a place near work or school? On a bus line? Near a park? What’s the most important location factor for you? If you have a car, what’s the parking situation like…and if you don’t, is the area bike-friendly or close to public transportation options? Size: Whether you’re currently in a studio apartment and looking to upsize, or moving from a house to a smaller space, size absolutely matters. What’s the perfect number of bedrooms for you, your stuff, and your family/roommates? Pets: First off, does the apartment allow residents to have pets? How many? And if it’s dog-friendly, is there a place for you to conveniently walk the dog? Recreation/Social Life: Is the apartment near great restaurants or a fun downtown area? Or, is it near parks and greenspace? Depending on your unique interests, it pays to do your research! Aesthetic appeal: Make no mistake, living in a beautiful home is a fantastic experience. What elements of your ideal apartment and apartment community are most important to you? Amenities: Do you want an onsite pool and fitness facility? A permanent staff in a centralized office? Lakes and walking trails? Create your ideal list! Before you call your first apartment community or set up your first drive bys, get prepared. Create an apartment file where you store all the information you’ll collect about your potential new homes—and maybe a checklist or spreadsheet that lists the above categories so you can see which among your potential apartment communities check all the boxes. Then, only arrange in-person visits for the top contenders! One of the best things you can do to help your apartment search go smoothly is to get all your paperwork in order up front. Especially if you’re in a highly competitive market, make sure you have your references and application items ready to go so that you can submit an application right away to your dream apartment home. Also, plan on carrying your checkbook with you—for apartment communities that require an application and security deposit before they’ll process your application, this can really speed the process along! That’s it! Now that you’ve done all the heavy lifting of getting your apartment search, it’s time to start calling the communities that most fit your needs. Happy Hunting!